Fit Feet helps Special Olympics athletes step lively on the playing field, and in everyday life. Many athletes suffer from foot and ankle pain, or deformities that impair their performance. In fact, up to 50 percent of Special Olympics athletes experience one or more preventable or treatable foot conditions that can affect their sports participation. Often, these individuals are not fitted with the best shoes and socks for their particular sport. To alleviate these problems, volunteer podiatrists work with athletes to evaluate problems of the feet, ankles and lower extremity biomechanics. 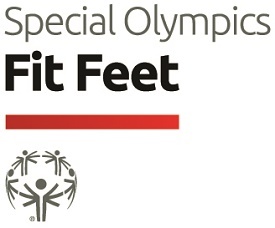 Special Olympics Northern California offers fit feet screenings at local regional competitions.